All Write @ Ardrossan Castle! 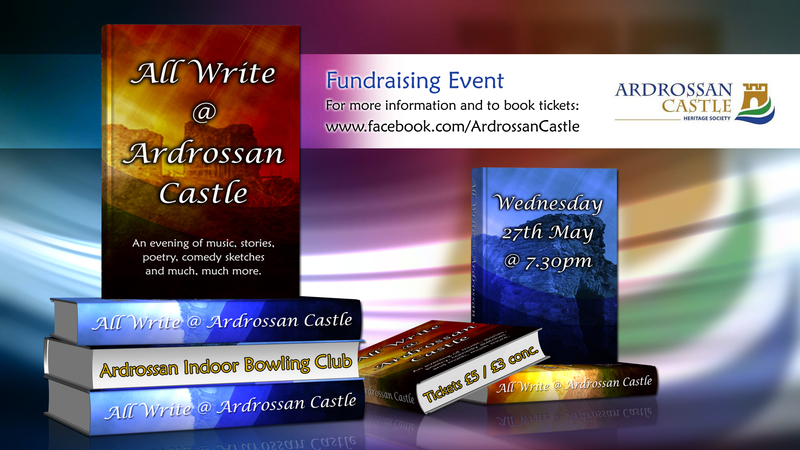 If you’re anywhere near Ardrossan on Wednesday 27th May, at 7.30pm, then why not drop by the Ardrossan Indoor Bowling Club for an evening of poetry, literature and music, in aid of the Ardrossan Castle Heritage Society. I’ll be reading from Fire & Sword, but if that’s not enough to whet your appetite, I’ll be joined by Margaret Skea, who will be reading an extract from her prize-winning novel Turn of the Tide, published by Capercaillie Books, which also has the Montgomerie-Cunninghame feud at its heart (though it’s set a whole hundred years after the events in Fire & Sword). And we’ll be joined by Evelyn Hood, who will be appeared as a special guest for the occasion. There will be poetry from the Bard of Lochwinnoch, Betty McKellar, and some comedy sketches from Skelph (an offshoot of the Largs Writers Group), plus performances from a Gaelic Choir. Refreshments and snacks will be available on the night, and tickets cost £5 (£3 concession) and are available at the door. Hope to see you there! This entry was posted in Uncategorized on May 25, 2015 by louiseturner.